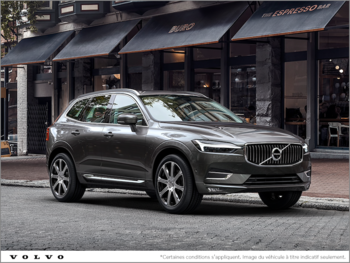 Uptown Volvo West Island's goal is to provide value to its customers, whatever the reason for your visit. 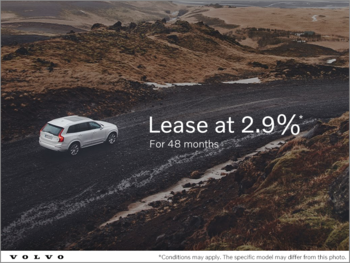 From special offers on new vehicles to pre-owned model discounts and attractive financing offers, we always aim to give you more at Uptown Volvo West Island. We also have special offers and discounts on our maintenance packages and services. They'll help you save when you come in for the maintenance of your vehicle or for simple things like an oil change. You’ll also find regular and seasonal offers in our parts and accessories department, as well as in our detailing care department. 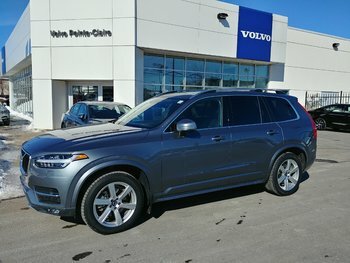 If you are looking for a new or pre-owned vehicle, Uptown Volvo West Island is the place to go to save money. 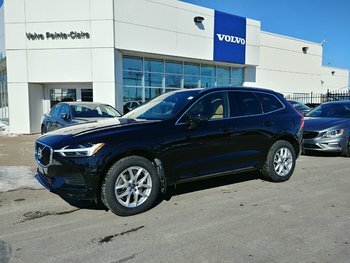 We offer regularly updated offers on new Volvo vehicles, as well as some that are unique to Uptown Volvo West Island. 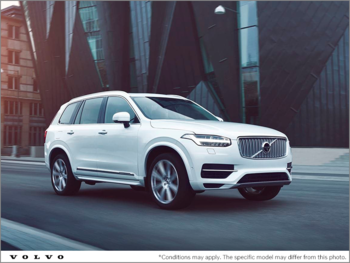 Volvo is constantly updating its offers on its new range of vehicles, which means that there are new ones every month at Uptown Volvo West Island. From special interest rates and cash back offers to discounted prices, there is always a way to save money. Come in today and discover our latest rebates. 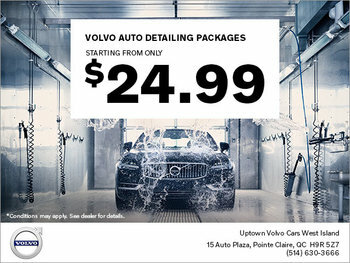 At Uptown Volvo West Island, we help you save on service and maintenance as well as on genuine Volvo accessories and parts. We have winter tire offers for your Volvo in the fall and summer tire offers in the spring. Our detailing centre also offers seasonal packages. Be sure to check this page regularly, as our offers and discounts are updated every month. 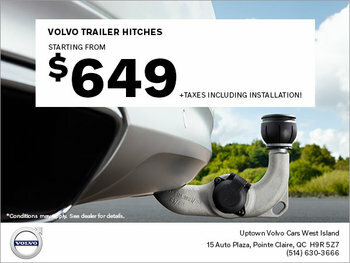 For more information, contact us today at Uptown Volvo West Island.